Our 19 pc. 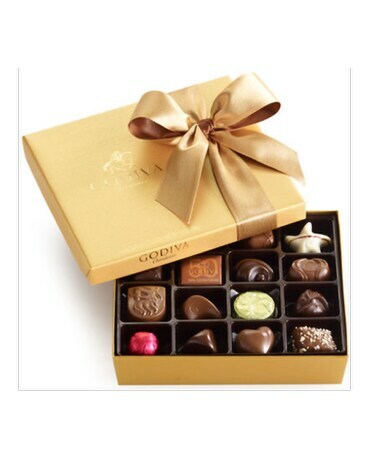 Gold Ballotin features a signature assortment of classic GODIVA Belgian chocolates. In each piece you will discover exquisitely rich, velvety chocolate, with fascinating flavors and intriguing textures. Finished with a classic gold ribbon.